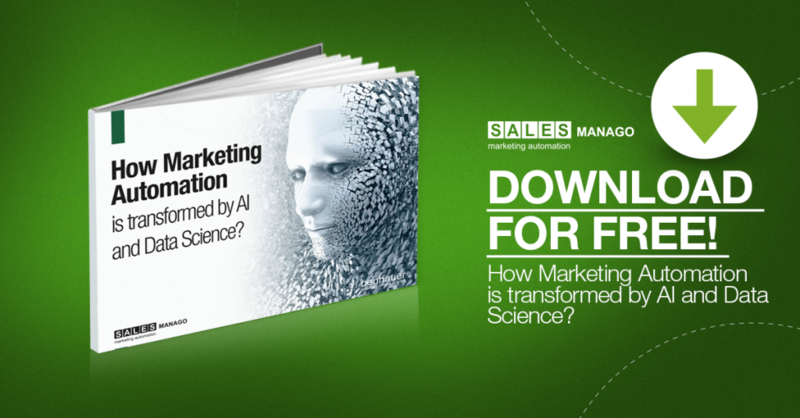 Artificial intelligence is transforming Marketing Automation. 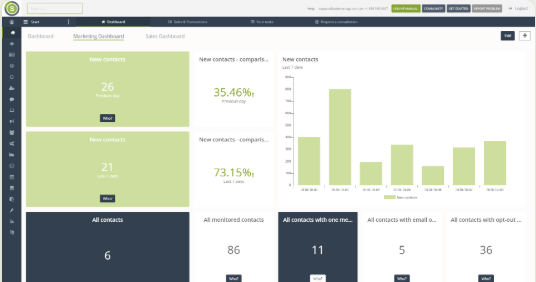 New generation solutions such as SALESmanago Copernicus that are based on AI and Machine Learning support the traditional marketing activities and permit perfect delivery of tailored offers to the customers at the right time. 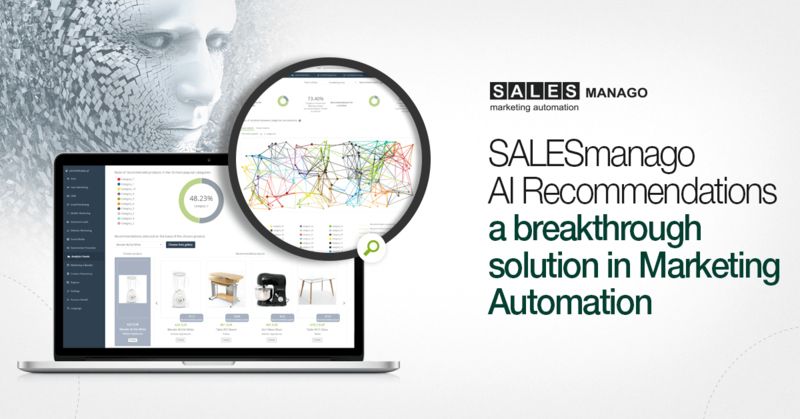 AI Recommendations, the new dashboard in SALESmanago Copernicus module, provides advanced data about AI-based product recommendations in your online store. Machine Learning & AI engine SALESmanago Copernicus uses complex algorithms to analyze transactional and behavioral data and prepares product recommendations for the store customers. 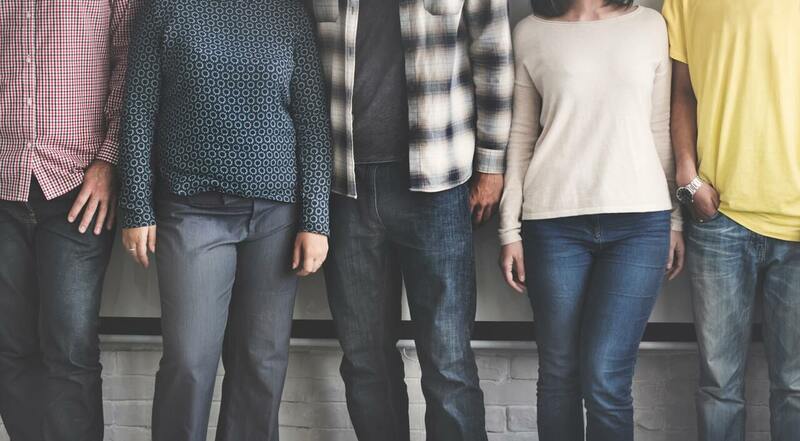 Not only the specific customer behaviour is analyzed, but also the correlations between other users who have bought the same product, for instance. The data about transactions of other customers’ with similar interests makes it possible for the algorithm to forecast which products may hold the attention of the purchaser in the future. Thus, the customer receives fully personalized product recommendations that are not only based on simple connections between products, such as in the case of the majority of limited recommendation engines. The products are selected on the basis of an advanced association conducted by the algorithm that also takes into account the behaviour of other users. 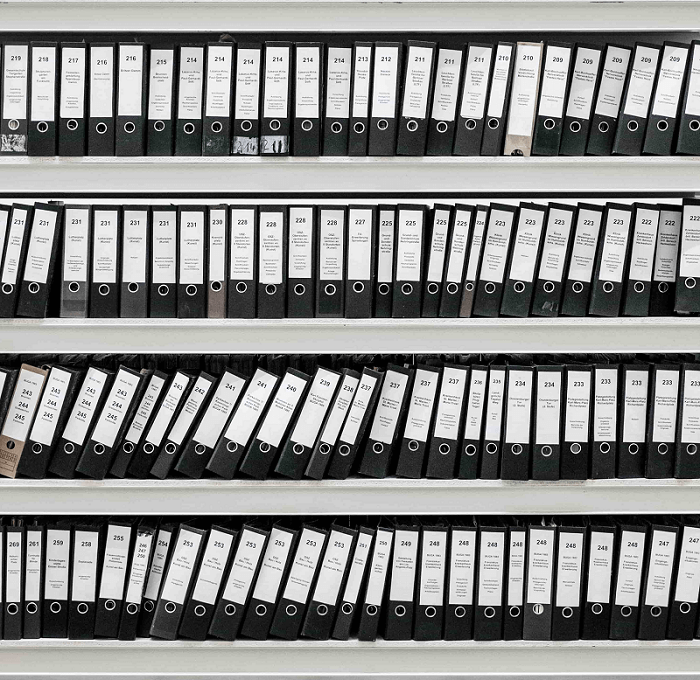 In this manner, it is possible to prepare recommendations for anonymous or inactive users as well, even though there are only basic data available (for example, the products viewed), because in these cases the system will use the information about other customers with a similar profile. This breakthrough technology, one of the most advanced in the industry, has a great impact on sales and company’s revenue increase by adapting marketing activities to the preferences of every customer. Additionally, artificial intelligence is in constant self-development process, so the predictions and recommendations become more precise with time. Advanced personalization of marketing communication in real time makes the recipients more willing to buy products recommended for them. Moreover, the marketing messages compatible with their interest are welcomed by the customers, as they perceive them as much more useful than bulk mailings. The possibility of purchase rises significantly and the customer value increases. 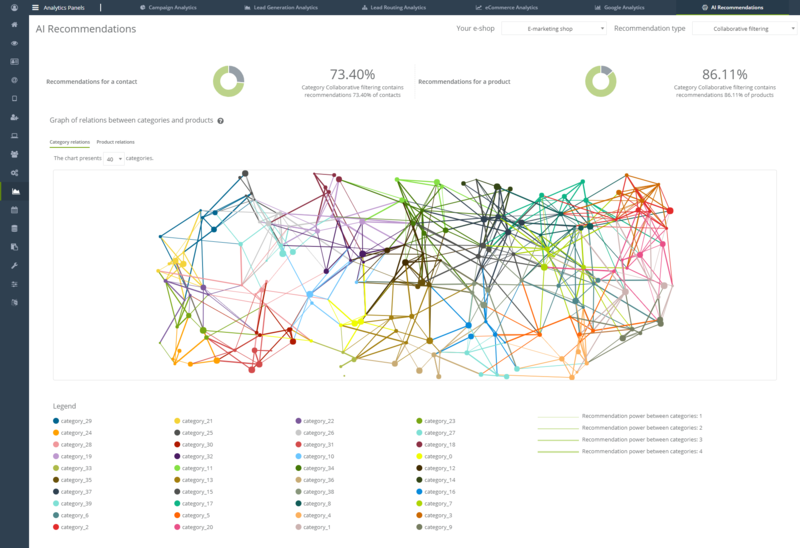 AI Recommendations, the new SALESmanago Copernicus analytical dashboard is a tool that allows unleashing the full potential of artificial intelligence module. The data obtained from the analysis can be used to improve marketing activities and to optimize the costs. 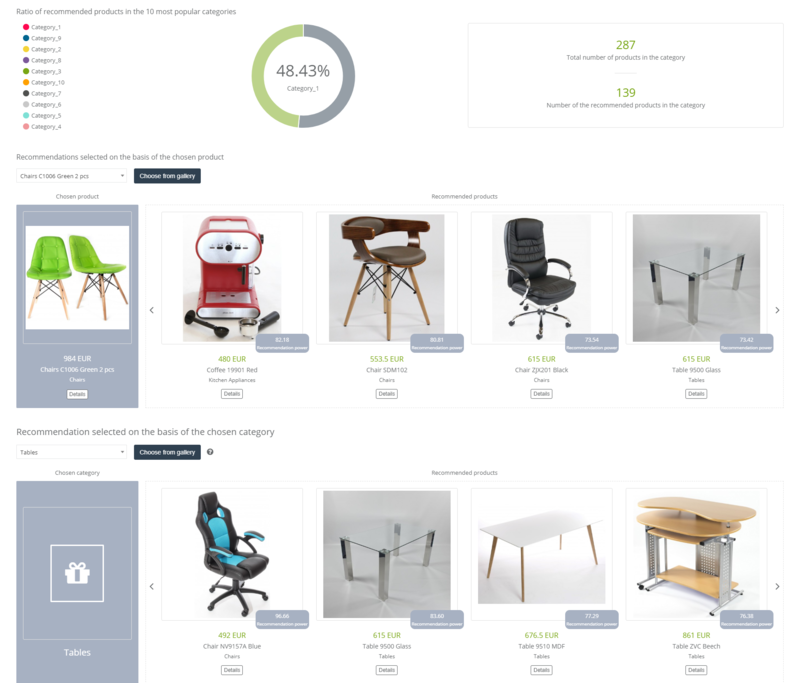 SALESmanago users get the whole picture of the usage of recommendation module in their campaigns and an insight into statistics related to most recommended categories and the quantity of recommended products in every category. It is possible to also check which products are recommended for a specific product or category. Mixed statistics with weight that combines all the mentioned types of recommendations with an additional mechanism that assigns weight to specific actions with an individually set value. To get to the AI Recommendations dashboard, log in to your account in SALESmanago Marketing Automation system, go to Analytics Panel section and choose the AI Recommendations tab in the upper menu bar. You can find detailed information about AI Recommendations dashboard on our website in the Support section. recommendation selected on the basis of the chosen product or category: in this section you can choose a particular product or category from the e-shop integrated with SALESmanago system and browse the products recommended for every option. A key information here is the recommendation power, that is the factor that indicates the recommendation accuracy. The statistics in the AI Recommendation panel show the intensity of usage of the Copernicus recommendations in the selected online store. It can help to draw lessons about the company’s marketing and become an inspiration in planning the campaigns, for example, if you plan to launch a 2 for 1 promotion, you can check which products are most frequently recommended together and therefore make the offer more attractive. Product recommendations are a powerful tool that brings great sales possibilities: for example, 35% of Amazon, the worldwide e-commerce giant revenue is generated by product recommendations engine. 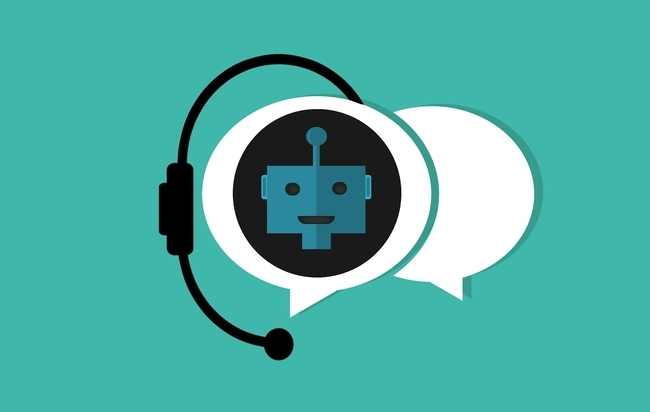 The recommendations that utilize highly innovative solutions such as artificial intelligence and machine learning are the future of Marketing Automation. Start using them right now to discover their potential and the benefits that can be brought to your business.